Vance Joseph assures that Brock Osweiler knows the playbook and nothing was scaled back for him against Philadelphia Eagles. 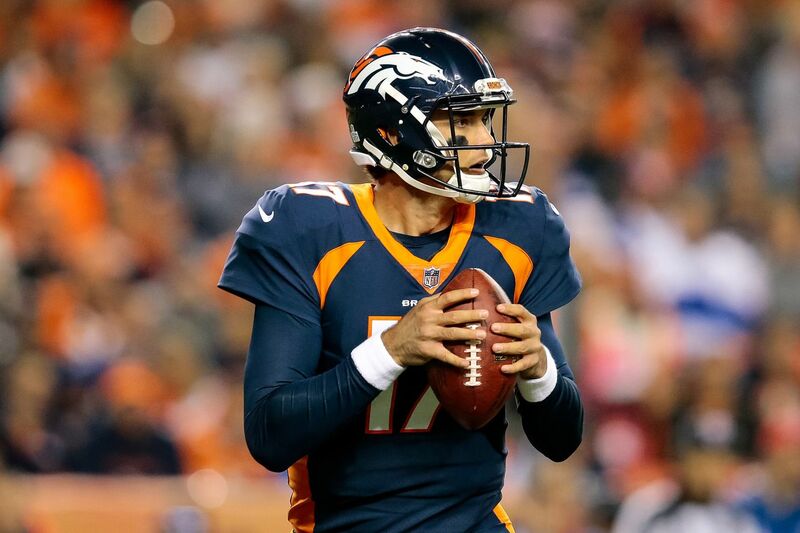 The Denver Broncos only signed Brock Osweiler to the roster two months ago and while that would be a bit of a concern in most cases, that isn’t the case here. Osweiler knows Mike McCoy and has played for him. He has chemistry with the players on offense from the teams Super Bowl run in 2015. Questions about whether or not Osweiler knew the playbook enough to compete was put to rest by head coach Vance Joseph on Friday. Osweiler sounds like a man on fire this week. He knows this is his chance at redemption and is taking control of his own fate. If he can translate that confidence into offensive production and maybe even a win, he could begin to revive his NFL career. We’re going to get the best from Osweiler on Sunday, but his best could be a year-long form of rust that he’ll need to shake off. The only way he can prepare for that is to make the big plays that Trevor Siemian had been missing.